The goddess Nepthys, benefactor and protector of the dead. 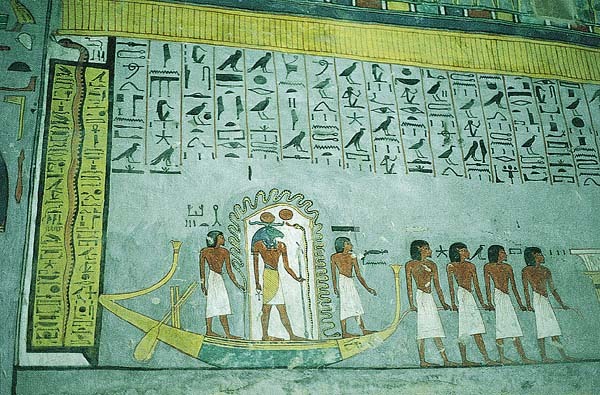 Tomb of Seti 1, Valley of the Kings. 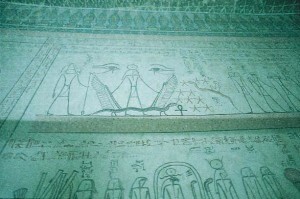 Eyes of Horus, tomb of Sennedjum, Luxor west bank. 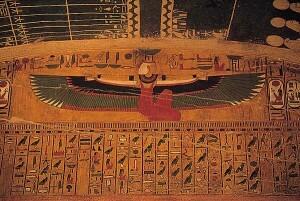 The goddess Maat, personification of truth, justice and cosmic harmony. 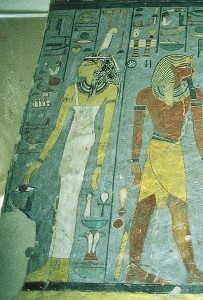 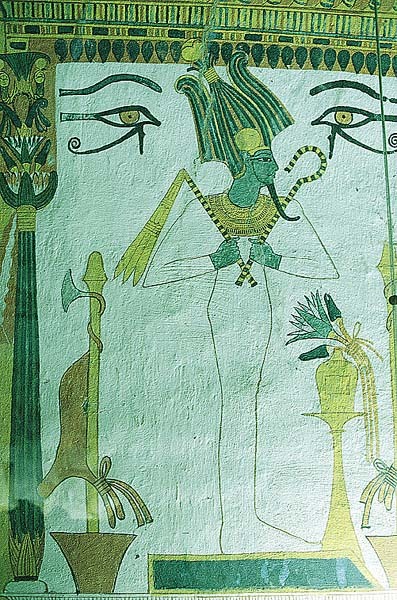 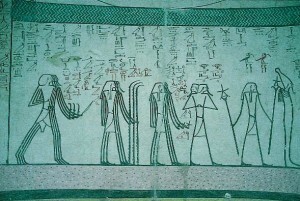 Osiris flanked by two Eyes of Horus, stands before an offering table, tomb of Sennedjum. 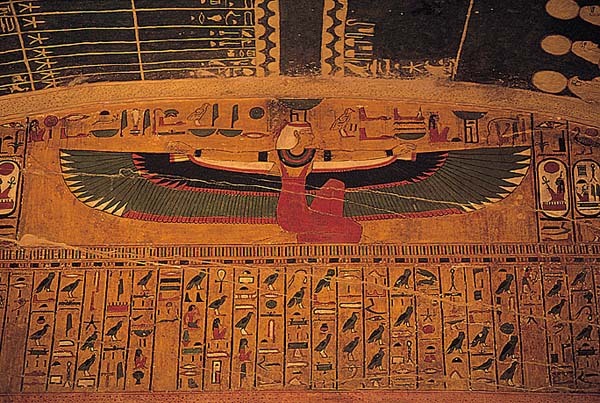 Ceiling of the burial chamber of Thuthmosis III (1479-1425). 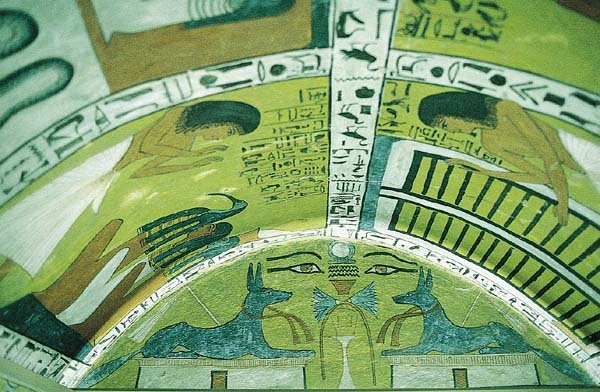 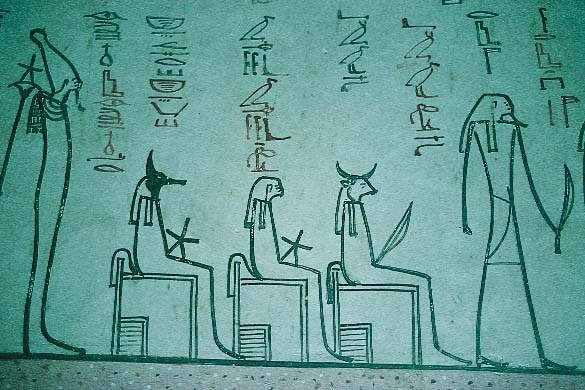 Is the depiction of the Duat , (in this detail of the Book of What is in the Duat, tomb of Thutmosis III, Valley of the Kings), somehow to be compared with the inner passages of the Pyramids? 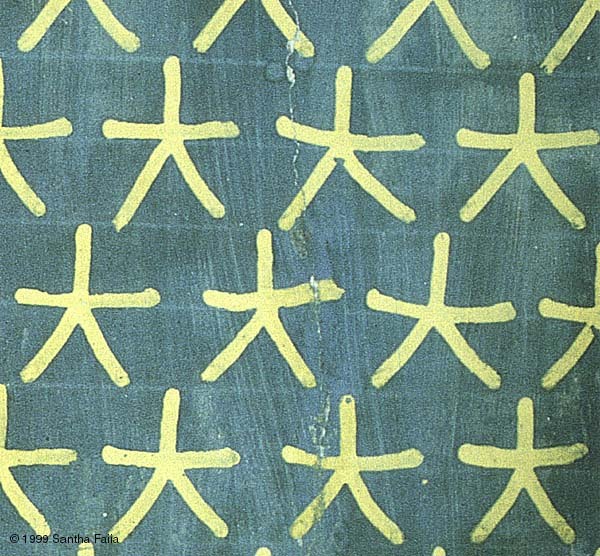 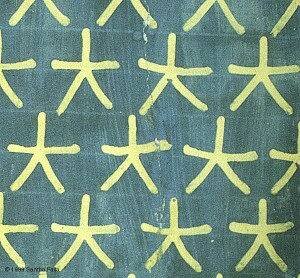 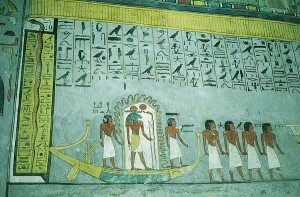 See gallery 5, image 2. 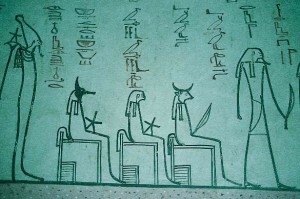 Scene from the Book of What is in the Duat. 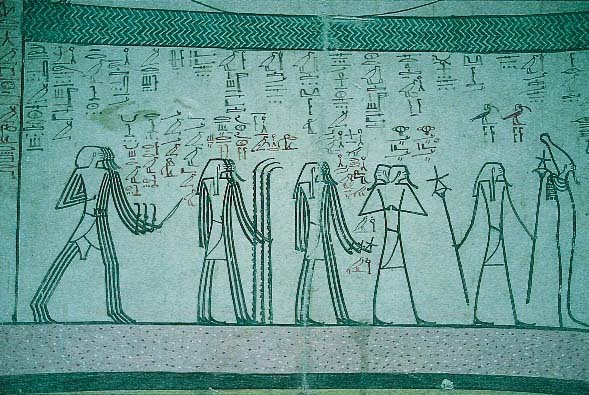 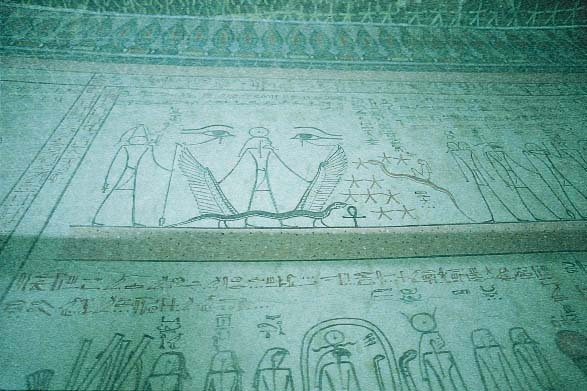 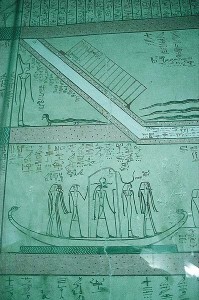 The Book of What is in the Duat: The spiritualisation of the deceased, flanked by two Eyes of Horus amidst a landscape of stars and winged serpents. 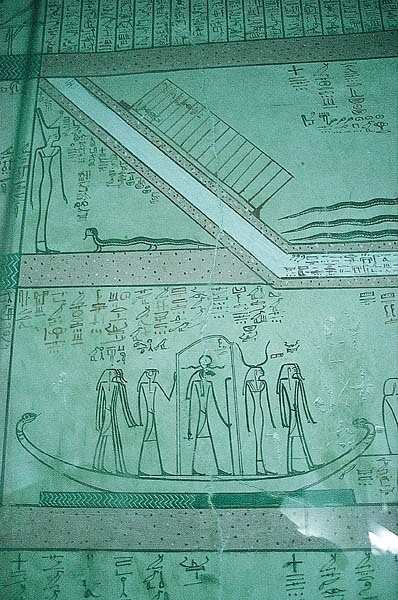 Detail of the journey through the Duat from the Book of gates, tomb of Rameses VI.